I have been re-working my Mongolian Beef recipe, and I think I finally have thee winner! Mine just wasn't sweet enough. I didn't have enough onions in it either. If you ever order Mongolian Beef there is a hint of sweetness that you just can't put your finger on where it comes from. (Onions. Lots of onions). I have been trying to replicate that and my hubs informed me that this recipe finally hits it on the head! This time I cut the meat, put it with all the sauces and seasonings in a large bowl, and let it marinate for about four hours before cooking it. The meat came out tender and full of flavor. The onions were able to really flavor the meat this way also. When you are making stir fry, the meat needs to stay tender. 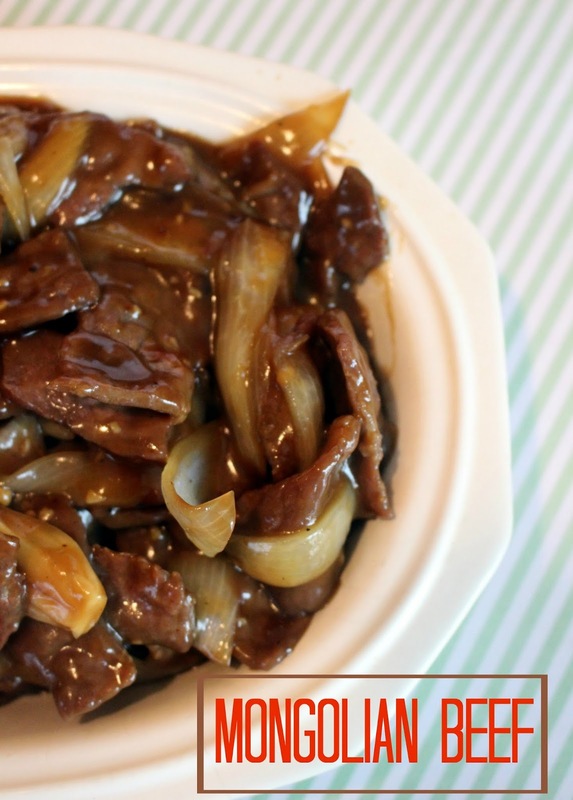 Even though in this recipe I cooked the sauce with the meat, moving the beef to the outside for a minute to let it caramelize, then moving it back into the center of the wok helps. It keeps the meat moving around and lets them all get a chance to cook more evenly. Making sure you cut the pieces of beef smaller helps create the more tender bite. Add the rest of the ingredients, except the cornstarch to the bowl. Cover with foil and place in the refrigerator for at least one hour. Heat a couple teaspoons of oil in a wok or large skillet over high heat. Add everything from the bowl to the wok. Stir in the cornstarch a bit at a time, adding more or less, depending on how thick you want your sauce. Let it simmer until meat is no longer pink.